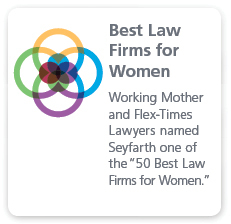 As one of the nation’s leading employment law firms, Seyfarth Shaw has experience defending countless retaliation claims brought by all levels of employees—from hourly employees all the way up to executives in the C-suite—before a wide range of tribunals. 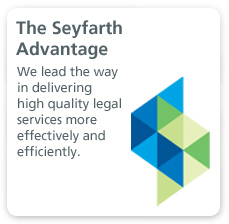 In particular, we have unusually deep experience in successfully defending sensitive whistleblower retaliation cases. That experience ranges from handling SOX whistleblower retaliation claims to environmental whistleblower retaliation claims, including safety and health and public policy claims under state and federal laws. We have a long track record of success before federal district and appellate courts as well as at all levels of the DOL. Employment retaliation is a core component of a whistleblower claim, as scores of statutes provide private causes of action for employees who claim they suffered an adverse action for engaging in various forms of protected activity. The structures and burdens those statutes impose can vary dramatically. For example, SOX’s whistleblower protection provision (Section 806) differs in material respects from anti-retaliation statutes that commonly are invoked in the employment litigation arena—such as Title VII of the Civil Rights Act of 1964—as the criteria for determining that issues of protected activity and causation are unique and nuanced. To complicate matters, conflicts have arisen in the way in which federal courts and the DOL’s Administrative Review Board have construed the scope of Section 806. Thus, while it is necessary for any defense team to have a mastery of litigating employment retaliation claims, employment law experience alone is not sufficient when it comes to defeating sensitive whistleblower claims. As the stakes have risen in recent years and the sophistication of the plaintiffs' bar's techniques has grown, it has become clear that an effective defense team needs extensive experience in navigating the evolving landscape of myriad types of whistleblower-specific retaliation claims. And it needs to have gained that experience before the range of tribunals with differing approaches that adjudicate whistleblower claims. Based on lessons learned from defending whistleblower litigation, we have developed tools and techniques to counsel our clients in order to minimize the risk of whistleblower retaliation claims and build defenses early on where whistleblower retaliation litigation appears to be unavoidable. 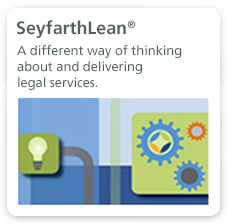 Our approach employs our cutting-edge SeyfarthLean methodologies, designed to foster consistency and predictability while enabling companies to objectively measure the ways in which risks have been reduced and develop predictive risk radars. We also help companies restructure their compliance programs by developing compliance committees and implementing structures that marry legal, human resources and compliance functions.